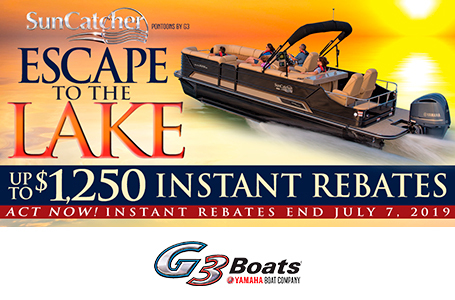 The popular V322 Fish & Cruise is designed to add more adventure to your life. 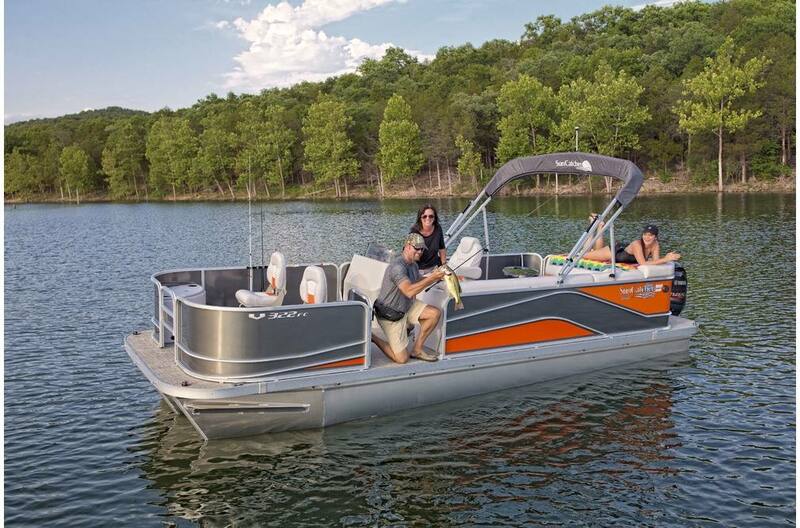 More fun, more versatile than ever, the V322 FC sports bow fishing chairs, livewell, sundeck and plenty of upright rod storage, along with easy access stern entry. Catch the value...live the adventure! SunCatcher makes it all possible. Aerated 10 gallon live well is roto-molded and has quick drain plug. 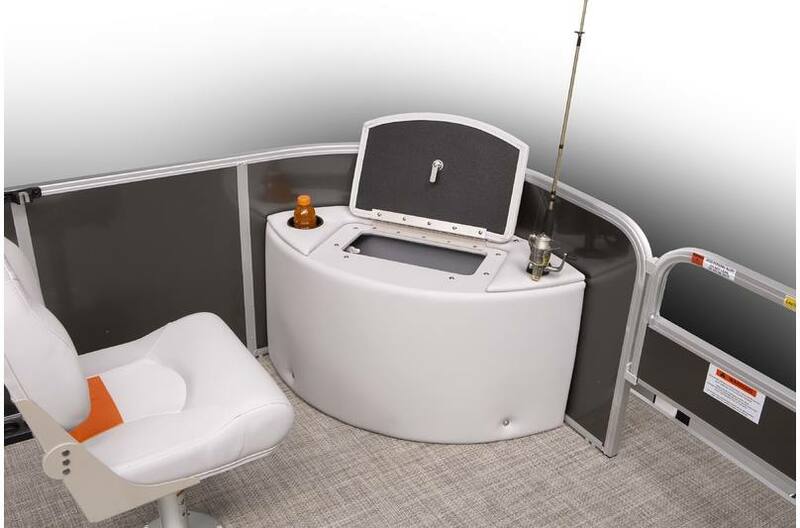 Angler convenience is enhanced with a cup holder on the left, and rod holder on the right. 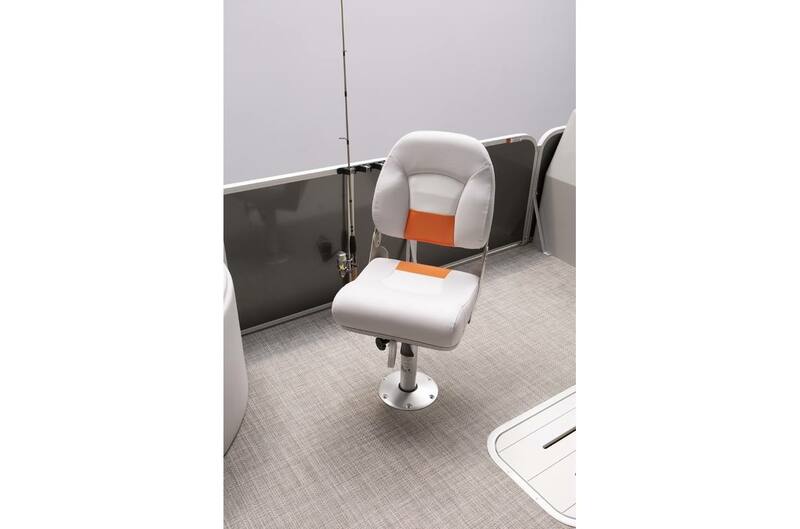 Swivel fishing chairs in the bow allow for comfortable casting. 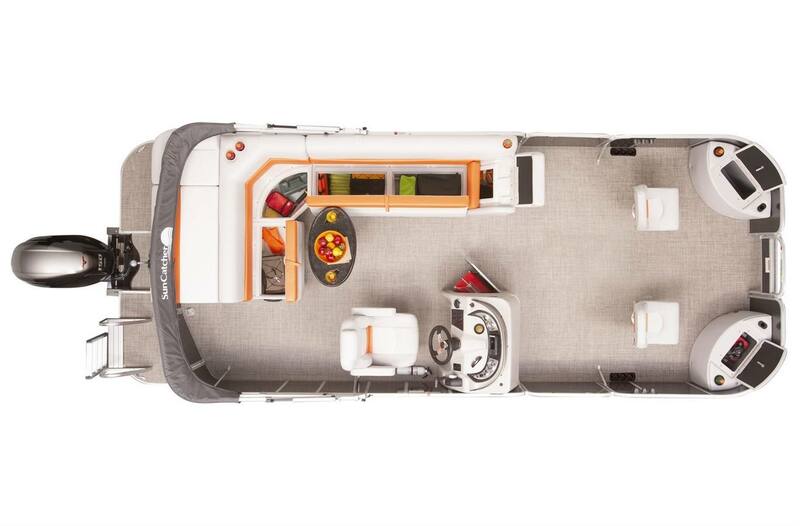 Livewell and storage compartments are close at hand. 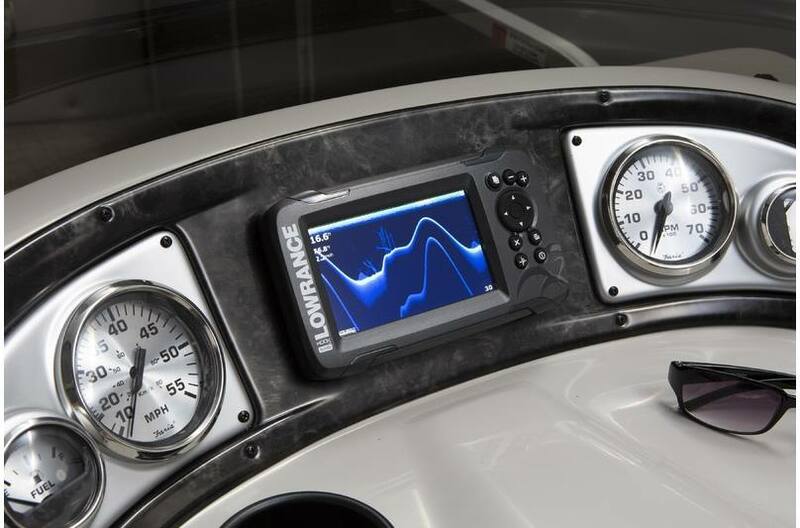 Optional Lowrance® or Simrad® electronics are available to add, both enhance your fishing and navigation success. Dry Hull Weight: 1980 lb. Livewell Dimensions: 14 in. x 19 in. - 10 gal.